A mechanical reasoning test measures an individual's ability to efficiently comprehend mechanical and physical concepts such as gears, levers and pulleys. The test also measures the ability to apply these concepts and principles in practical settings, such as solving mechanical issues. The mechanical reasoning test identifies those individuals capable of efficiently analysing and interpreting mechanical data and solving mechanical problems. This test is primarily used in the selection of employees for roles of a mechanical nature such as maintenance staff and supervisors. Mechanical reasoning tests are scientific and accurate - Eliminating bad hire decisions when recruiting staff for mechanical roles. The mechanical reasoning test is an objective scientific measurement which is used to identify job applicants who have the capacity to quickly understand mechanical concepts and effectively solve mechanical problems. It increases the accuracy of your hiring decisions, therefore minimizing the use of subjective data such as resumes which require you to make guesses and assumptions about an individuals' mechanical ability. Mechanical reasoning tests are online, quick and provide immediate results - Eliminating guess work. You can setup candidates to take the mechanical reasoning test within less than 5 minutes. Once an applicant completes the test you will receive an immediate report on his/her suitability. This will allow you to make a quick hiring decision when recruiting staff for mechanical roles, saving your business time and money. Mechanical reasoning tests can be completed anywhere and anytime - Eliminating geographical barrier. The advantage of providing this mechanical reasoning test online is that potential applicants can be anywhere and anytime. The location of applicants will no longer be an issue. Those applicants with time constraints, busy with other commitments or taking caring of children are able to complete the mechanical reasoning test at a time that suits them. Norms for the Mechanical Reasoning test have been developed based on a sample of people who work within the trade, builder, engineers, and mechanics domains. The internal reliability was found to be in the marginally acceptable range (Cronbach's Alpha = .7). The mechanical reasoning test is administered online and consists of 18 mechanical questions. It is timed, requiring 9 minutes to complete. 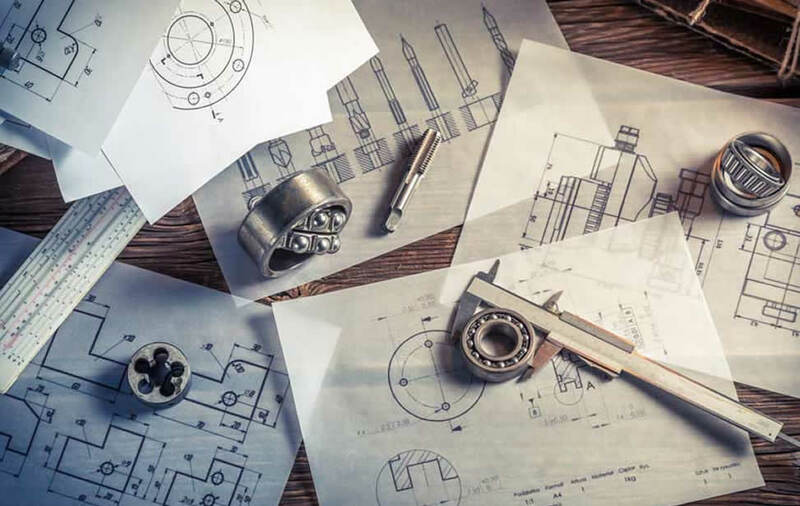 The relevant target audience for the mechanical reasoning test are those job applicants whose occupation entails working on tasks of a mechanical nature. A short list and individual interpretive reports are generated within minutes of assessment completion. Reports can be sent via email or fax. Assistance in report interpretation is provided by Psych Press consultants. 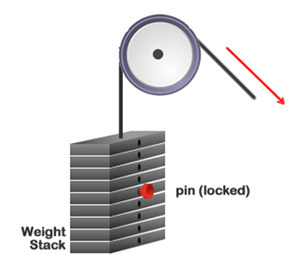 If the rope was pulled in the direction shown, what would happen to the weight stack in the diagram? 1. There would be no movement from the weight stack. 2. The interlocking pin would prevent any movement. 3. The entire weight stack would rise. 4. Approximately half the weight stack would rise. The entire weight stack would lower.